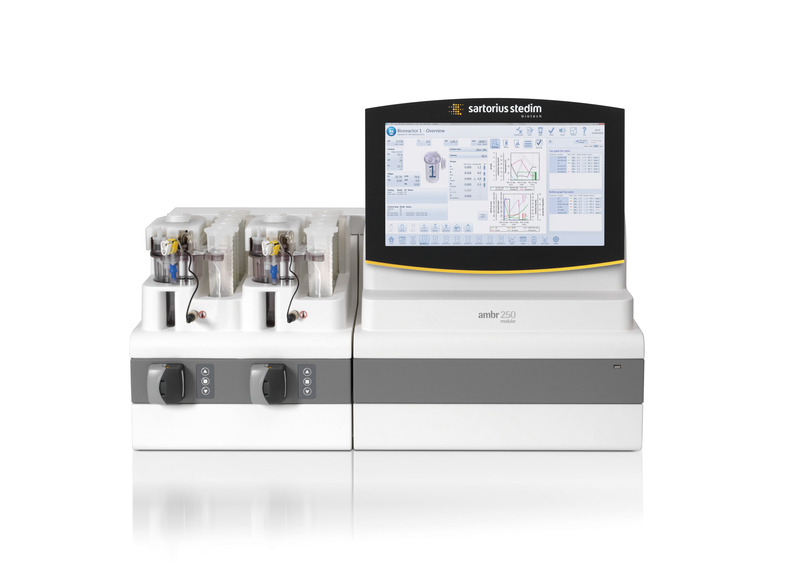 ambr® 250 modular is an innovative, easy-to-use, expandable benchtop system that incorporates from 2 to 8 fully integrated single-use 100 – 250 mL mini bioreactors. 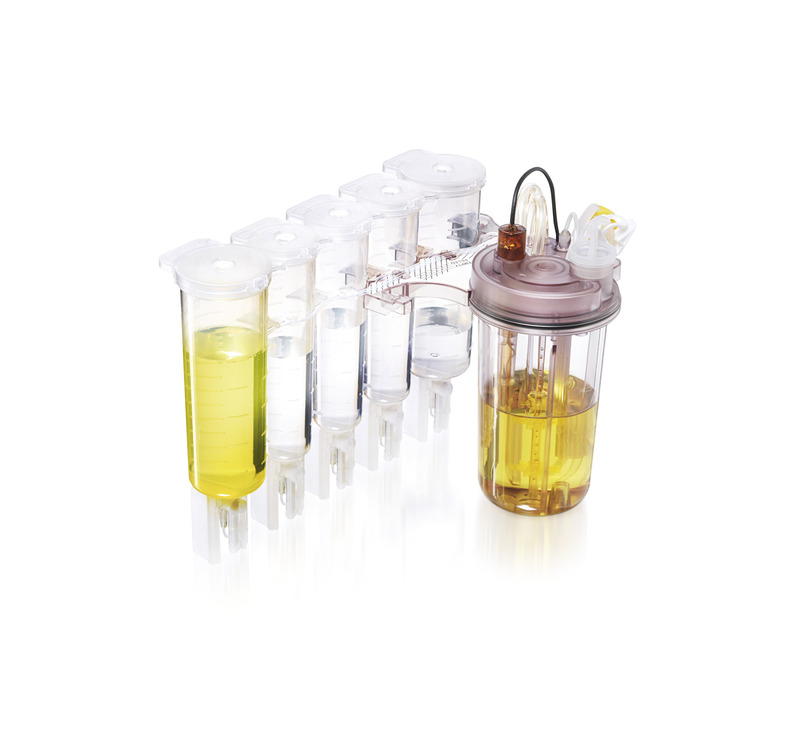 The system utilizes the same advanced stirred-tank bioreactor technology pioneered in the original ambr® 250 high throughput system. The system comprises a series of elegantly designed benchtop modules enabling 1– 8 bioreactors to be operated in parallel and a control module with intuitive system software accessed via a user-interface screen. Both pre-calibrated, the DO spot measures 0 - 200% and the standard pH probe has a measurement range of 2 - 8.5. Allows for rapid liquid additions with a syringe. Each reservoir is integrated to its own high precision syringe pump allowing for highly consistent and accurate liquid delivery. Allow view of liquid during auto-priming. Allowing for rapid experimental set-up and turnaround.